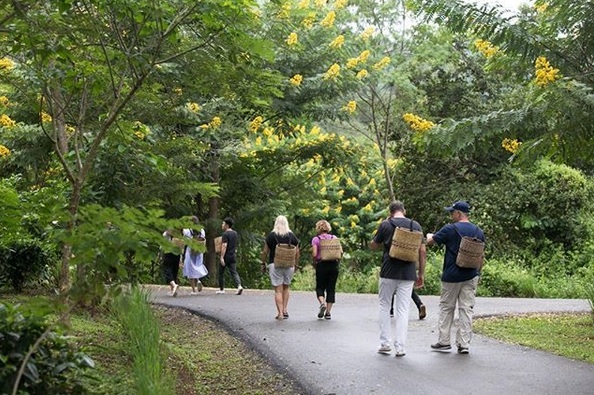 The Baan Chang sub-district is best known for its lush jungle environs, and—this being the case—it’s a hotbed for tourism. The problem? Tourists are sometimes garbage people when left to their own devices. (Trust me, I know. I work in hospitality.) Compounded with that, few regulatory bodies kept visitors and vendor outfits from wreaking havoc on the environment. This isn’t specifically a Chiang Mai problem, but more of a Thailand problem. The entire country—from what I’ve heard—has a very hands-off approach to . . . just about everything. To the point where I’ve never expressed a desire to visit, even if the teas were magical in the north. In recent years, however, some steps have been taken to create natural buffers between tourist spots and sensitive eco-systems. And as a middle-ground between the two, there’s agri-tourism. And that’s what the owners of Araksa had banked on. 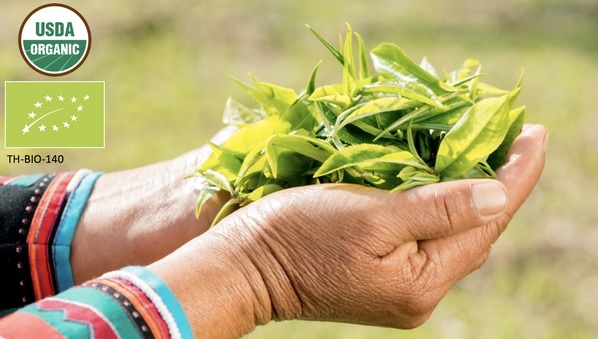 To the point where they made sure to garner organic certifications, not only in the U.S.A, but the European Union as well, which goes a long way in explaining why they named their garden “Preserve”. I first encountered the garden via their lovely Instagram page. They followed me, and I followed back. 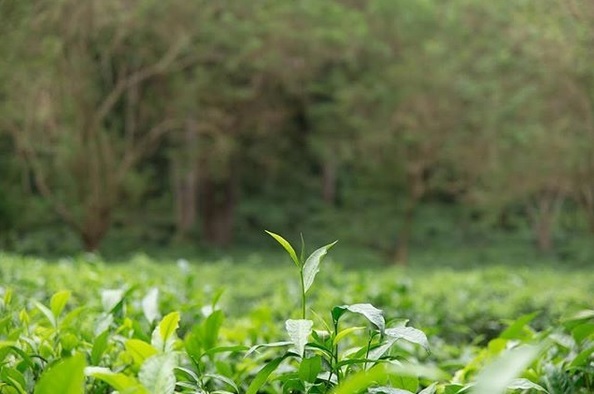 A part of me loved seeing my feed populated by luscious views of a healthy tea garden. 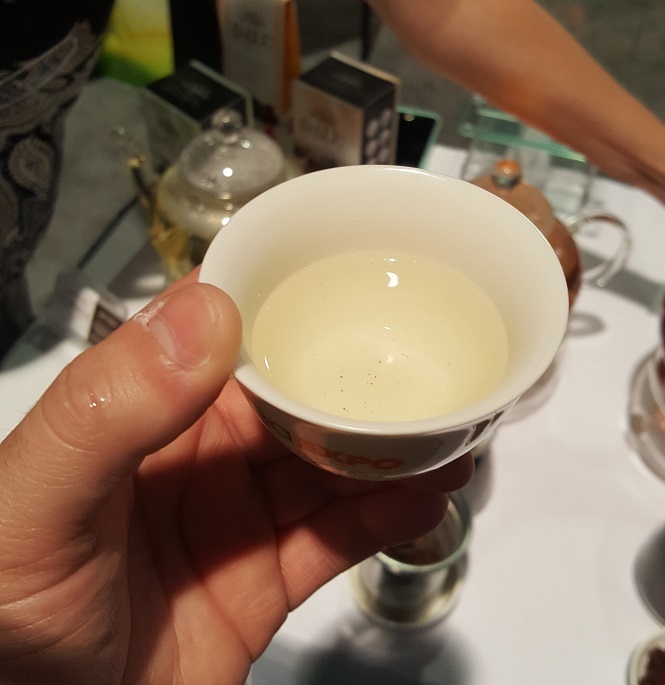 I hadn’t given any thought to trying their teas until I learned they had a booth at World Tea Expo in 2018. That’s when I encountered their flagship product; their white tea. Two versions of their white tea, to be precise. 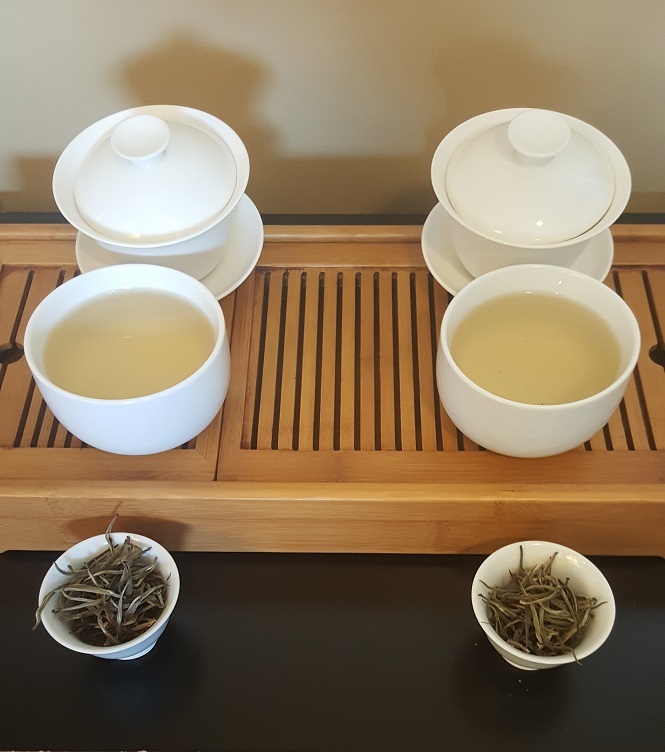 They featured white tea plucked at two different times of day. Both were isolated into their own standalone products. 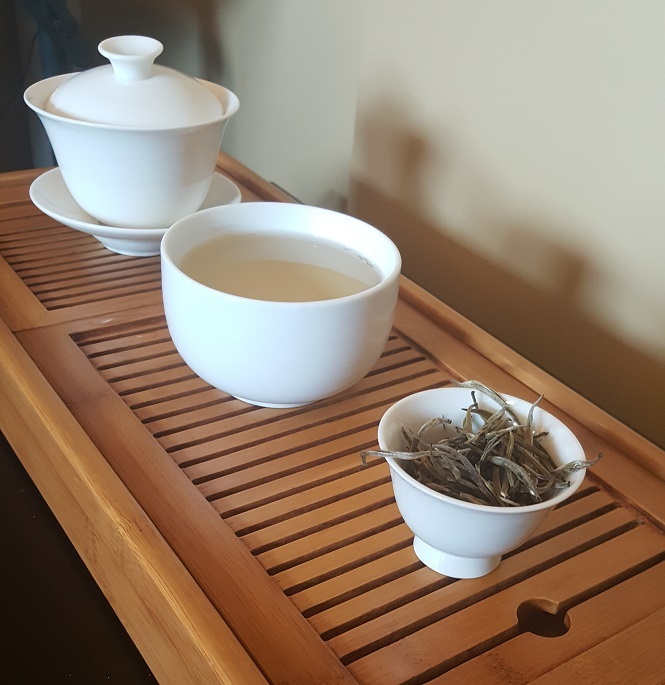 The morning-plucked white tea was dubbed “Arun” (which means “morning”), the late afternoon version was called “Sayun” (evening). When I initially tasted them, I only noticed minor differences, but they were there. I wanted to explore these differences further on my own. So, I did the typical tea blogger thing, and politely asked for samples of each. 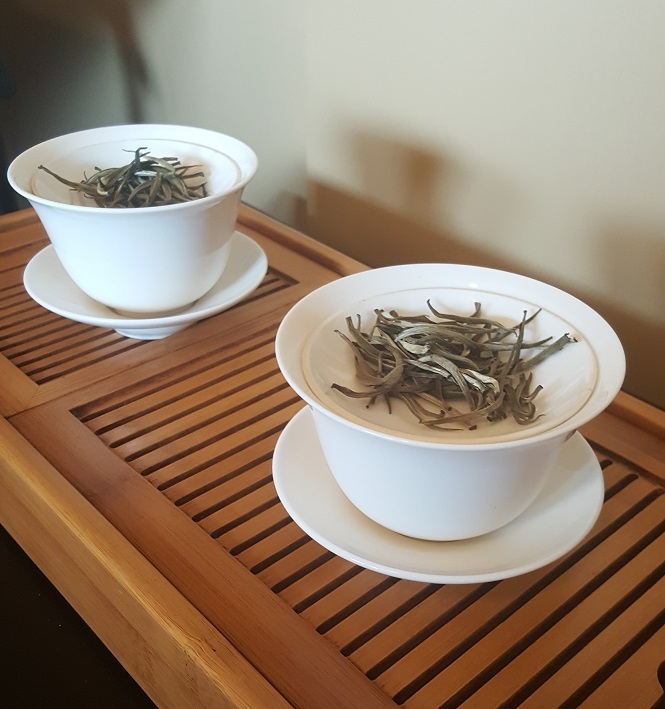 I think it’s safe to say that both of these silver needly, bud-only white teas looked exactly the same. Processing appeared to be the same, uniform appearance in the needle size and shape. Eyeballing them alone garnered no revelatory differences, even subtle ones. Even the aroma of the dry leaves appeared the same, save for a slightly “deeper” smell stemming from the Sayun batch. Both whiffed of melons and flowers; the later plucked one was just . . . more of that. For brewing, I went a bit bold with these two. Since they were assamica leaves, I went for near-boiled water and a two-minute steep. 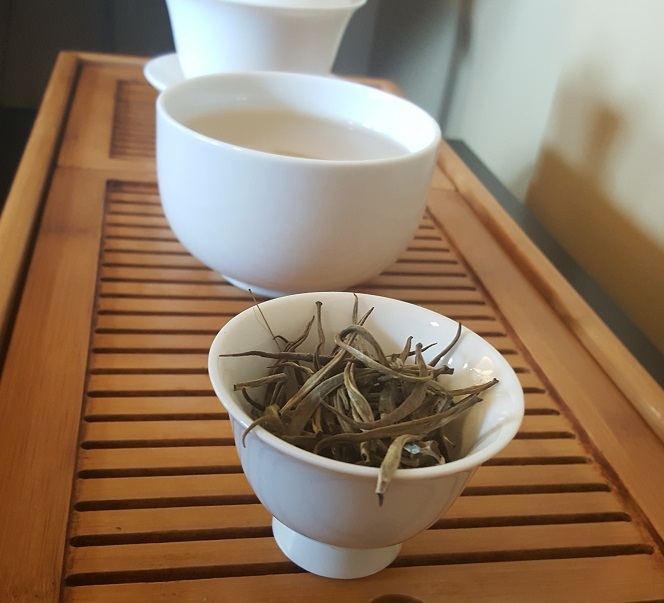 Leaf-to-gaiwan ratio: two grams to six fluid ounces. Experience has shown that assamica white teas can take on much worse, but I exercised a li’l bit of caution. Both teas brewed to a pale amber, even with the ante-upped heat. Both gave off a slightly melon and floral aroma, but with the added bend of a vanilla after-note. The Sayun, however, had more of a toasty aroma than the Arun. The introductory sip was straight cream, almost like tapioca pudding, and then transitioned to a something akin to sharp citrus. But that immediately gentled into a honey-textured mouthfeel that was both sweet and smooth. The aftertaste and comeback sweetness echoed the same impressions, albeit at more of an echo. It lingered wonderfully, though. The Sayun differed in just about every way imaginable. So much so, that I wondered if there was something additional done in the processing to further separate it from its older sibling. The first sip immediately reminded me of a light-roast oolong—Taiwanese-styled, to be precise. When the toastiness wore off, then it transitioned to some of the honey-cream-melon-flower notes similar to the Arun. Only, dialed way up. In every way, it was a bolder brew. Like actual, human siblings, you could tell these two teas came from the same source. But they each had opinions of their own as to how they’d exact their palatial delivery. As far as I know, the difference in processing is minimal. Yet the sheer opposing flavor profiles of these two teas can’t be attributed to time of pluck alone. At least, that’s what the skeptic in me is yelling. I can’t know for sure, though, without being physically at the garden to see it plucked and made. And that ain’t happening any time, soon. Natural tourist buffer or no. For now, though, I’ll give the benefit of the doubt that—indeed—the time of day can have that much influence on the tender leaves. Just as the altitude, the climate, and the soil can drastically affect a brew, so can passage of time. Tea gardens are kind of magical that way, and sometimes our only means of understanding is to simply taste the difference. 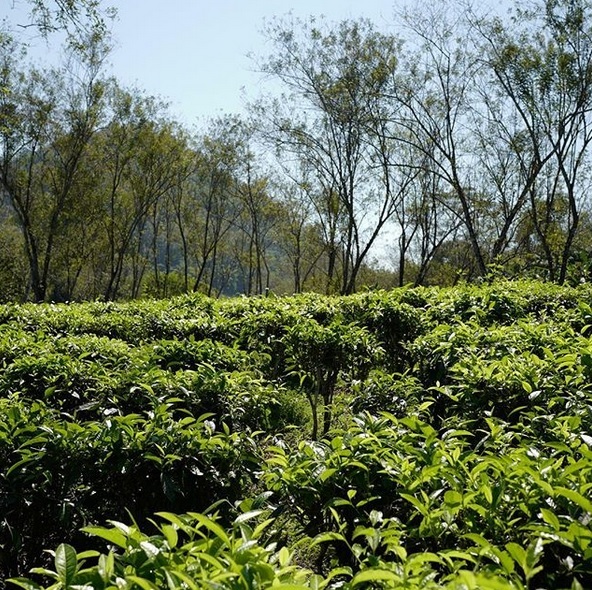 For more information on the Araksa Tea Garden and their white teas, go HERE. Sounds delightful. I saw this when I was visiting LinkedIn!